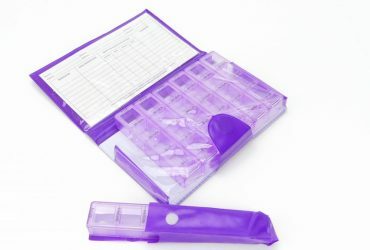 Shantys offers a large and very helpful range of pillboxes; everyone of these pillboxes brings organisation and convenience to any medication routine. 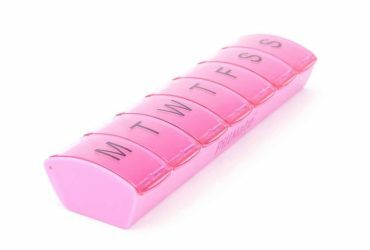 Shantys Pillmate pillboxes offers a range of both size and colour and have been designed to cover different scenarios including, days out and storing a weeks worth of medication, vitamins or supplements. Both of these pillboxes have four separate compartments labeled Morning, Noon, Evening and Night, they are designed to be perfect for anyone who needs to take medication whilst on the go, on a day out or at their work place. 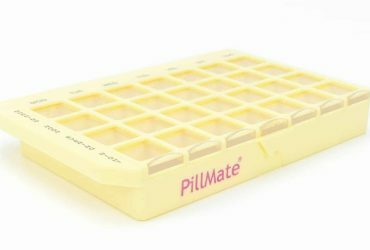 Shantys PillMate ‘Maxi Day Out’ is ideal to be stored in handbags or another form of bag, whilst Shantys PillMate ‘Day Out’ is the smaller more discrete of the two, this pillbox can easily be put into a pocket. All three of these weekly pillboxes hold 7 days worth of medication, but all of them have different designs to accommodate for different needs and tastes. Firstly, Shantys Easy Access Auto Large 7 Day Weekly is designed for people who struggle with their dexterity/ co-ordination as each compartment has an easy to press button making it easier to open. Shantys Maxi Size 7 Day Pill Box and Shantys Large 7 Days PillMate both also feature a 7 day capacity and have labelled compartments. The Maxi Size 7 Day Pill Box Dispenser is the larger of the two and suited for people who are in need of the additional storage space for complex doses, but don’t necessarily need a pillbox from the larger range. All of these pillboxes can be left at home as they are perfect for storing complex medication dosage. These boxes range from two doses every day of the week to four doses every day of the week, morning, noon, evening and night. Some pillboxes in this range include a dosage record card such as Shantys PillMate Large Twice Daily and Shantys Pillmate Twice Daily, this record card is helpful for keeping track of complex doses. Get your medication organised or help a relative or friend organise the dosage with a Shantys Pillmate pill boxes. Get yours here.